Cook 3 cups medium or short grain rice as package directs. Turn cooked rice into a large, non-metal bowl, separating kernels. Pour Marukan Seasoned Gourmet Rice Vinegar evenly over rice, gently fold to combine. Let rice cool to room temperature. The seasoned vinegar will enhance the flavor of the rice and keep it fresher longer. 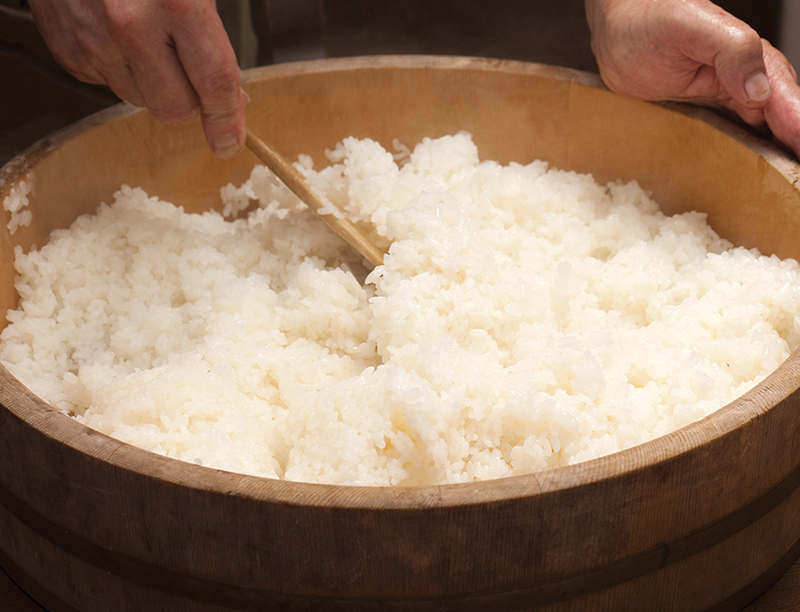 Sushi rice is best if eaten soon after it is made. Refrigerate unused rice for later use.